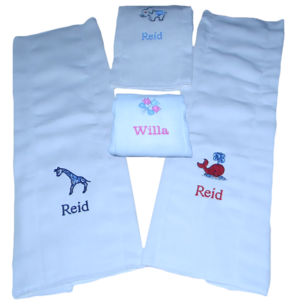 Burp Cloth: -Personalized Burp Cloths, Monogrammed burp cloths, baby Keepsakes, Personalized baby gifts,. Soft and cuddly 100% cotton. Personalized burp cloth, baby Keepsakes, personalized baby gifts, burp cloths, embroidered baby gifts, 100% cotton burp cloths.